There are many blog posts and tutorials on YouTube, teaching you how to permanently embed or hard-code subtitles to videos or movies. I know many of you are disappointed to find out that some of these tutorials are confusing or/and useless. They do not work. Don't worry or be angry. Let me show you a simple and workable way to embed subtitles permanently to videos or movies. I have tried it myself and it works perfectly. Besides having your video file and the subtitles file on your computer, you need to download a free tool called MKVToolNix GUI. This software will help you to mix the video and the subtitles together easily. 1. You have to download the free tools called MKVToolNix. 2. Click here to download and install it onto your PC. 3. After you have successfully installed it, click on MKVToolNix GUI. 5. First, click on "Add source files" button which is at the bottom of the interface. 6. A box will pop up. 7. Select the video/movie file and click on it. 8. Then click the "Open" button. 10. Next you click on the "Add source files" button again. 11. This time, you select the subtitles file. 12. Click on the subtitles file. 13. Then click on the "Open" button. 15. 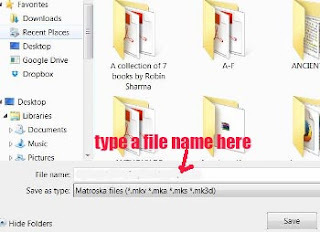 Then you need to select where you want to save this newly created file. 17. A box pops up. 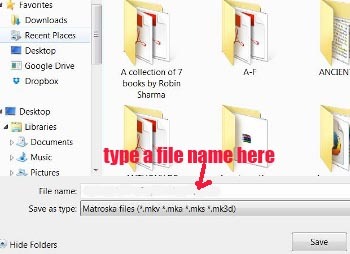 If you want to change the place where you want to save your newly-created file, you can delete away the details at "Destination file:". 19. Click on your option. 21. Click the "Save" button. 22. Finally click on the "Start multiplexing" button below. 23. You can see the small start icon (triangle inside a circle) drifting left towards the "Job output" icon. 24. Click on the "Job output" icon and you can see the green color band lengthening. 25. It is multiplexing in process. 26. In other words, the tool is embedding the subtitles to the movie clip. 27. The process will complete once it indicates "100%" next to the green color band. 28. Once it is completed, you can close the MKVToolNix GUI interface. 29. Now you can the movie thumbnail together with the small sized VLC orange color cone logo. 27. Click on it and now you can watch the movie together with the embedded subtitles. Note: Here are two sites where you can get a good list of subtitles in different languages.